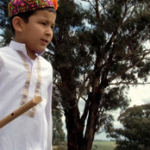 A media arts project that connected young Hazara from refugee backgrounds in Melbourne, Australia, to their home lands and separated communities. Bamiyarra was a Home Lands v2 project initiated by the Cultural Development Network, La Trobe and Swinburne Universities and the City of Melbourne. Migration is the story of a Hazara family that sought refuge in Australia, how the open sea both carried them here and afforded one of their sons a future in the surf. Hope In Life follows the aspirations of Hazara who sought asylum in Australia to pursue their education and arts practice, and how their ties to home land influences and sustain them regardless of the challenges they face. Produced in association with Youthworx Media. Hazaragi culture is no where more accentuated than in a traditional wedding. 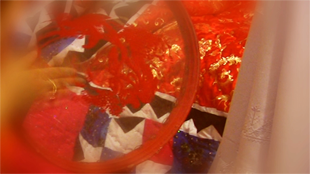 Bringing together every facet of cultural life, from traditional music, clothing, food and ritual. A Hazaragi Weddingtraces the events leading up to and throughout the wedding ceremony. A Hazaragi Wedding is underscored by traditional music, a collage of wedding photos and video, and of course the food, the celebration, mehmanies (public feasts) and dance. The cultural history of Afghanistan’s most persecuted minority is one interwoven with the arts, from the Persian poetry they learn as children to reverence for the Buddhas of Bamiyan, monolithic sculptures their ancestors created in the 5th Century and destroyed by the Taliban in 2001. 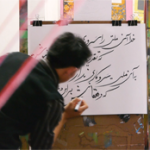 To bring these practices into modern times, Hazara artist, Fazil Hussain Mousavi, founded The Sketch Club in Quetta, to introduce young Hazara to the skills, techniques and history of painting. 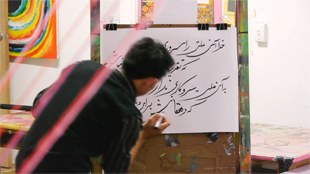 The micro-doc, Between The Lines, follows the story of The Sketch Club from Quetta to the Artful Dodgers Gallery in Collingwood, where its first exhibition in Australia is hosted. Between The Lines is a story of young Hazara depicting the social circumstances of their country, the genocide of Hazara people and how their new found skills and art has helped them to express the complex issues of injustice and uncertainty, that has also connected them to and inspired Hazara youth who have sought asylum the world over. Bamiyarra On Screen is the international premier screening of a short-docs series produced by young Hazara in Melbourne and Kabul in collaboration with Melbourne film-makers and media artists. Meet the film-makers, the producers and participate in a Q & A about the series and the media arts program these documentaries grew from. Bamiyarra On Screen was produced in association with Youthworx Media, Multicultural Arts Victoria, Mechid TV with the assistance of EngageMedia. Bamiyarra would also like to acknowledge the support of Wind & Sky Productions for dubbing services. Purchase tickets online at ACMI or at the box-office. 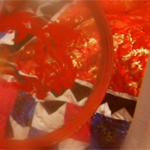 A Hazaragi Wedding, incorporating family videos and memorabilia, traces the events leading up to and throughout a traditional wedding ceremony. Between The Lines follows the story of the Pakistan based Sketch Club to a gallery in Collingwood, Melbourne, where its first exhibition in Australia was hosted. Hosted panel with film-makers, producer and researchers. Bamiyarra is a Home Lands v2 project – a media arts initiative connecting young Hazara from refugee backgrounds to their home lands and separated communities. Home Lands v2 is a collaboration between La Trobe University, Swinburne University of Technology, City of Melbourne and the Cultural Development Network. Home Lands is funded by an Australian Research Council Linkage Grant, City of Melbourne and the Cultural Development Network. On location. Photo by David Wardell (Youthworx). 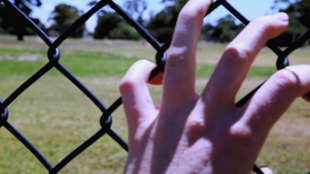 Five micro-docs were proposed for production. Two were completed in association with Youthworx Media as part of their inSite program. Produced in association with Mechid TV. Hazaragi culture is no where more accentuated than in a traditional wedding. Bringing together every facet of cultural life, from traditional music, clothing, food and ritual. A Hazaragi Wedding traces the events leading up to and throughout the wedding ceremony. A Hazaragi Wedding is underscored by traditional music, a collage of wedding photos and video, and of course the food, the celebration, mehmanies (public feasts) and dance. Although young Hazara from refugee backgrounds in Melbourne have immersed themselves in education with high goals and aspirations they are never far from the issues they had left behind. Bamiyarra Reflections is a conversation between Hazara youth in Melbourne and Afghanistan exploring complex and challenging issues such as forced migration, youth suicide and drug abuse. Interwoven with the opportunities found in Australia and the constraints still faced in Afhganistan, Bamiyarra Reflections describes the transformations taking place in the first generation of Hazara to receive an education in over 200 years. In August 2011 we launched Bamiyarra, a project of Home Lands v2. The name combines the home of many Hazara, Bamiyan, and the Yarra River. The name connects their origins with their now home and for many, the river represents how they got here. 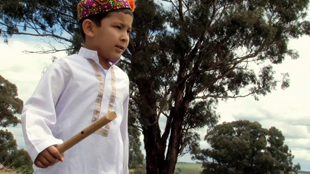 The trailer is a snap-shot of young Hazara in both Melbourne and abroad collaborating to produce a micro-docs series, a video installation, public screenings and exhibitions, mentored by media artists and creative producers.